Supt. 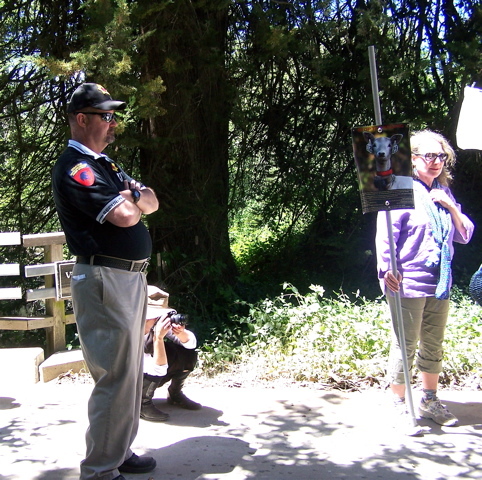 Don Neubacher of the Point Reyes National Seashore and park biologist Natalie Gates have been misleading the public about alternatives to the park’s current program to eradicate exotic deer. That was the word this past week from the senior vice president for wildlife of the Humane Society of the United States. The Humane Society of the US, as well as the Marin Humane Society, Wildcare, and In Defense of Animals, has criticized the National Seashore’s eradication of non-native fallow and axis deer as cruel and unnecessary. 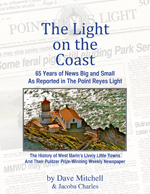 Thirty years ago, the Citizens Advisory Commission to the Golden Gate National Recreation Area and Point Reyes National Seashore held a series of public hearings to decide the optimum size of the two herds. 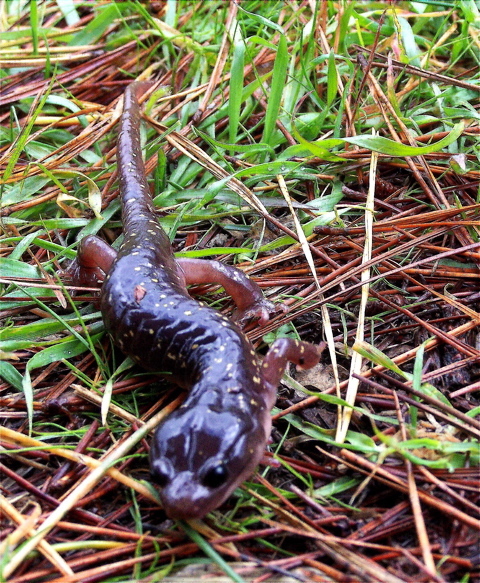 Wildlife experts from around the country took part, as did hunting organizations and West Marin residents. Commissioners, who were appointed by the US Secretary of the Interior and mostly nominated by Bay Area local governments, ultimately decided the ideal herd size was 350 deer apiece. That quota was erratically maintained through culling until 1994 when Neubacher (right) became superintendent and stopped the culling. At that point, the fallow herd in particular began growing. In 2002, the citizens’ commission expired, and when the Neubacher Administration decided to eradicate the deer, no public hearings were held. When a public meeting was finally held, the public had to content itself with listening to panelists picked by the park. By way of avoiding a general discussion that might have worked out compromise acceptable to most of the public, the park divided the crowd into focus groups — with opposition to slaughtering deer treated primarily as a marketing problem. 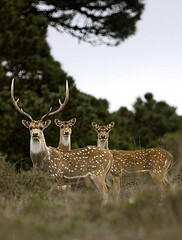 The fallow deer, native to the Near East, and the axis deer, native to South Asia, have been on Point Reyes since 1948. The park opened in 1965. Citing the herds’ growth and their ancestors’ having been non-native, the Neubacher Administration in recent months has been attempting to eradicate all 1,000 to 1,200 of the deer. About 180, including only a handful of axis deer (as seen in photo below by Trish Carney), still survive. Animal-rights groups have urged the National Park Service to manage the herds’ sizes with contraception. The Neubacher Administration has responded that the hunting company it has hired hasn’t been having much success with the contraceptive it’s using, GonaCon. 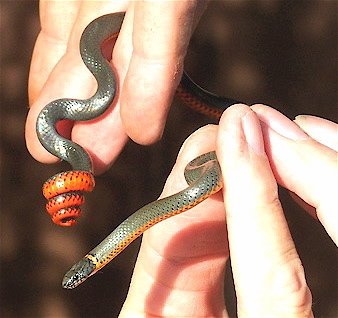 National Seashore officials made misleading statements in dismissing the effectiveness of the contraceptive, PZP, used to manage herds at other parks, the Humane Society notes. PZP is fully tested and completely safe with the adjuvants [pharmacological agents added to a drug to increase its effect] and techniques I recommend in my report, as the numerous peer-reviewed papers I cite demonstrate conclusively. These studies have been conducted over more than 15 years and have included all phases of the reproductive cycle. There is no comparable data for GonaCon [the deer contraceptive used by the hunting company hired by the park, White Buffalo]. There is no published peer reviewed literature regarding the safety and efficacy of GonaCon and the adjuvants used with it. And there are numerous anecdotal reports of death and/or abscesses or ulcerous lesions in animals treated with GonaCon and its adjuvant. True, PZP has been in use longer, but the safety and reliability are proven without question. 2. With regard to Natalie Gates’ comment the [Humane Society’s] White Paper approach would not be effective and that it is not practical to use only contraception to eliminate all non-native deer. These are simply self-serving rephrasings of material in my report that allow her to give the answer she wants people to hear. 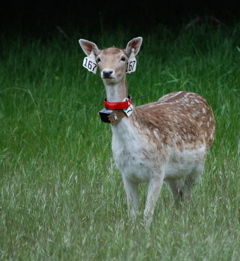 The paper does not suggest that all deer in the park can be eliminated using the PZP contraceptive. In fact, it clearly states exactly the opposite. What it does suggest and indeed proves with peer-reviewed literature is that a deer population as small as the one that now exists (~)180 can be conscientiously and effectively managed to meet the National Park Service’s biological objectives for vegetation in the Point Reyes National Seashore with PZP. The PZP vaccine and darts are relatively inexpensive; actually less than $50 per treatment (primer dose at $21 plus booster does at $21 plus two darts at $3; and that is only for the first year. Thereafter the cost is about $25 per year). The primary cost in such programs is labor to administer the vaccine (Rutberg 2005). At Fire Island National Seashore, where deer were accessible and capture for tagging [right, as is being done in the Point Reyes National Seashore] was not necessary, treatments took 1.4 hours per deer (Naugle et al. 2002). At another site, contraceptive darting took 1.6 hours per deer (Rutberrt et al. 2004). The [National Seashore’s] environmental-impact statement assumes six hours per inoculation (p. 37). Even at six hours per doe, treatment of 80 does would take 60 person-days per year (citations in my report). Frankly, the National Park Service estimate of the cost of PZP vaccination is based on nothing but speculation and is grossly inaccurate, as this peer-reviewed information shows. 4. 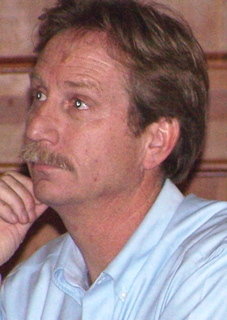 With regard to statements from [regional Park Service director Jon] Jarvis and [National Seashore Supt.] Neubacher regarding the need to kill a few deer as part of a contraceptive program. It may be necessary to euthanize one or more of the deer currently treated with GonaCon if their reported symptoms are causing such pain and suffering that this is the only alternative. If deer are treated with the PZP contraceptive, there is no need to kill, immobilize or tag these deer if the protocol used successfully with white-tailed deer at Fire Island National Seashore is followed. 5. With regard to Neubacher’s claim that he is simply following federal legislation. It is, of course, true that Neubacher is acting under his interpretation of the broad authority of the enabling legislation and subsequent amendments for Point Reyes National Seashore even as he attempts to eliminate the deer. It is surprising, at the least, that axis and fallow deer were not designated a cultural and historic resource at the time the National Seashore was created. Indeed, numerous reports of past activities at the National Seashore, as well as annual reports, suggest that they were often treated as such, even if they were not so designated. 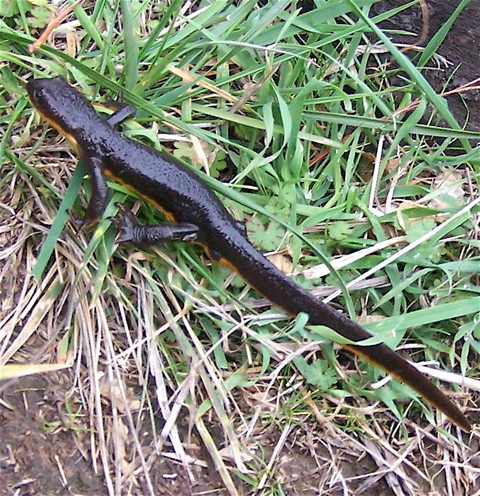 However, to remove any ambiguity regarding their importance as a cultural and historic resource for the park and environs, we suggest including a rider such as I suggested in my report (Page 12) to designate fallow and axis deer a cultural and historic resource for the Point Reyes National Seashore and require that they be managed as such. This approach has been successfully followed in Assateague Island National Seashore and Cape Lookout National Seashore. California Lt. 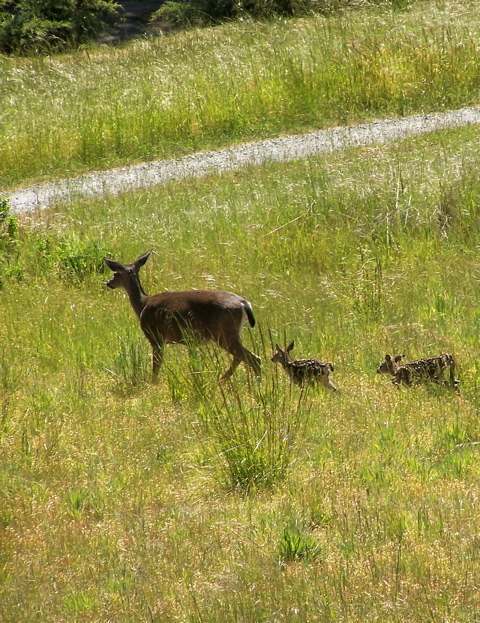 Governor John Garamendi, who served as Deputy Secretary of the Interior in President Clinton’s Administration, has joined the battle to save the Point Reyes National Seashore’s few surviving fallow and axis deer. 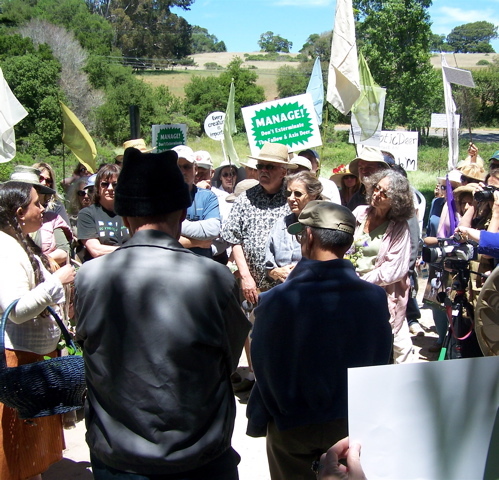 A copy of a letter from the lieutenant governor to the regional director of the National Park Service was provided to this blog today, Monday, a day after 75 people marched from Sacred Heart Church to the Vedanta Society Retreat in Olema to protest efforts to eliminate the deer. Park Supt. Don Neubacher last year brought in a hunting company to eradicate the two herds on grounds they are non-native and that the herds had (not-surprisingly) been growing since he stopped culling them upon becoming superintendent in 1994. 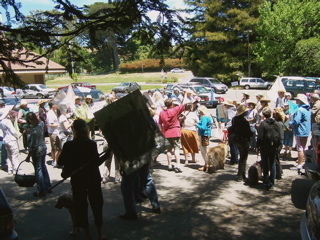 Sunday’s march (seen here being assembled at Sacred Heart) capped a week when the political tide began run in favor of the deer. For months Supt. Neubacher had defied objections from groups ranging from hunters to the US Humane Society, who are offended by the hunting company’s cruel practices that cause many deer to suffer long and agonizing deaths. Last week, US Senators Dianne Feinstein and Barbara Boxer, Speaker of the House of Representatives Nancy Pelosi, and three other Bay Area members of the House — Lynn Woolsey, George Miller, and Anna Eshoo — jointly called for a six-month moratorium on the eradication program. The moratorium would give the Park Service time to review US Humane Society studies on managing herd sizes with an easily administered contraceptive known as PZP. The letter was a followup to a phone conversation Garamendi (pictured) previously had with the regional director. The Park Service is, of course, part of the Interior Department, and as a former top official of the department, the lieutenant governor knows Jarvis well. Thank you for taking my call and your attention to the Fallow and Axis Deer issue at Point Reyes National Seashore. Based on our conversation, I understand that the National Park Service (NPS) will not attempt to eradicate the deer population in the spring or summer. However, the NPS contractor will, in the month of May and beyond, conduct investigations on the deer herds to determine the effectiveness of contraception, health of the animals, and other related issues. I further understand that a very limited number of deer may be killed to further the investigation. I recognize that this amounts to a temporary cessation of the eradication program and that the eradication will continue in the fall. Therefore, I urge you and the NPS to consider a different solution to the non-native deer issue. I recommend that the NPS accept the fact that the non-native deer have established themselves and that a modest herd be kept in the NPS area. This herd should be managed so as to maintain a constant number of animals. The NPS should undertake the necessary to studies to determine herd size and management techniques. The existing herd, which I understand to be quite small, should be allowed to exist while this study is underway. The bottom line for me is that it is a serious mistake on many levels to eradicate the entire population of Fallow and Axis deer at the Point Reyes National Seashore. If I am incorrect on my understanding of the NPS and their contractor’s program for the spring and summer, please let me know immediately. Thank you for considering my position for the long-term management of the herd. The marchers’ destination was the Vedanta Retreat because the hunting company has been using it as a staging area for its eradication program. The Hindu retreat, which is surrounded on three sides by the National Seashore, has given the hunting company permission to use its property for a variety of purposes — as long as any killing is carried out elsewhere. On Sunday, Ella Walker of Olema (at left) complained about this to Swami Vedananda, aka Warner Hirsch (in center with back to camera), and Estol T. Carte (to his right), the Vedanta Society’s president. Citing Hindu beliefs, Walker said that in allowing the park’s hunters to use Vedanta land, the retreat was complicit in the deer’s deaths. 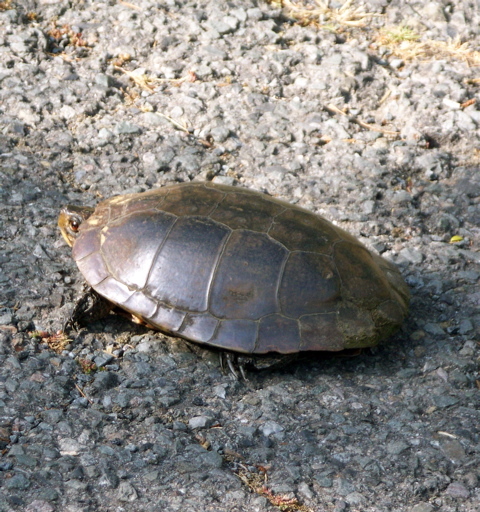 The Vedanta leaders responded by citing National Seashore claims that the eradication program is righteous. 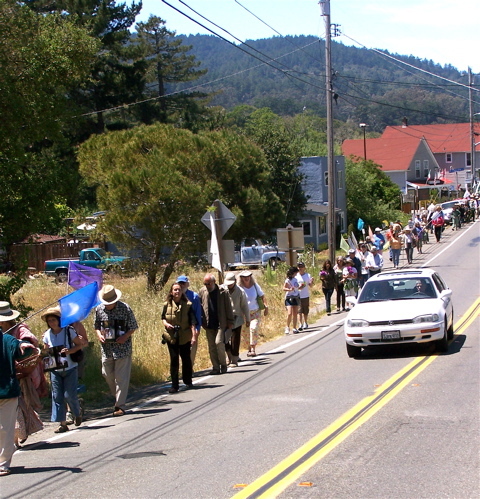 The demonstrators had hoped to meet with the Vedanta leaders within the retreat but were told they could not enter the land beyond a small bridge near Highway 1. The Vedanta Society had a security guard on hand, but the protest was somber and orderly, with none of the demonstrators showing any desire to force their way into the retreat. 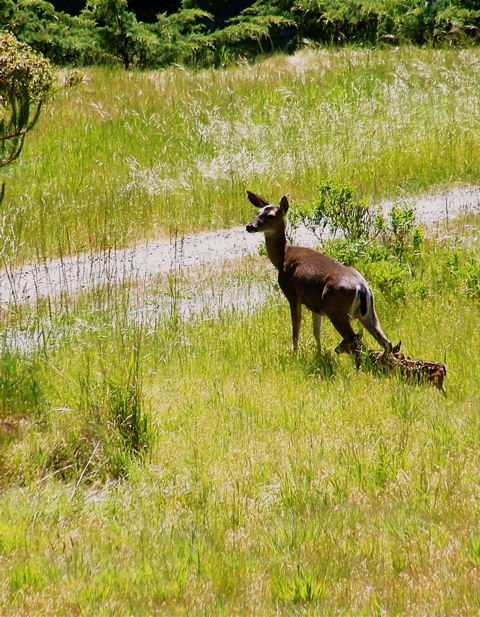 Blacktail deer forage around my cabin on a daily basis, and I’ve often posted photos of them. But apropos May Day, I had a new experience last Thursday with my cloven-hoofed neighbors. A doe brought this spring’s offspring into my field. They were the first fawns I’d seen this year, and they ultimately provided me with an opportunity to photograph a one- to two-week-old fawn at close range. As it happened, I’d gone out on my deck to take in the afternoon when I spotted a doe grazing just below me. 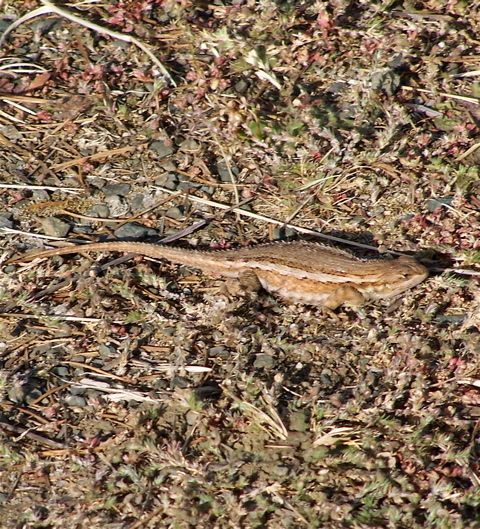 Soon it nosed around in some tall grass, and up jumped two fawns. The fawns followed their mother through the grass to my driveway, where she surveyed the surroundings before leading them into the open. Continuing to photograph them, I followed the three until I caught their attention, and the doe with one fawn (seen here) ran off. The other fawn, however, may have been to tired to stay with them. 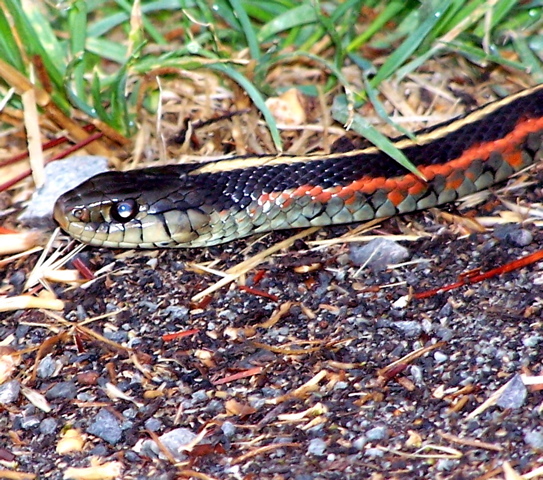 It simply wandered into tall grass, which happened to be next to my driveway. 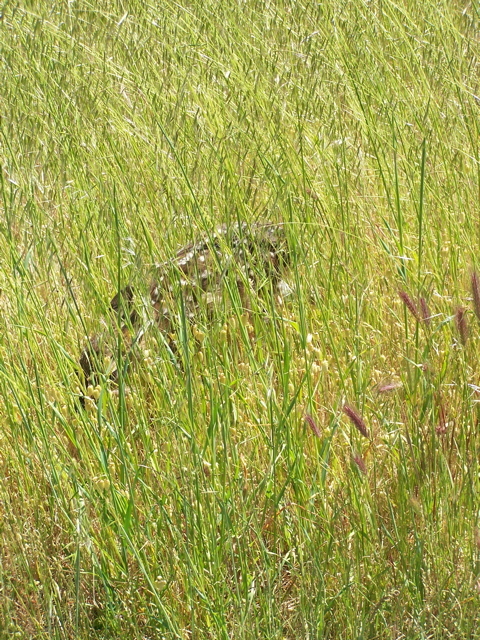 As can be seen in the photo above, the grass was far taller than the tiny fawn walking through it. The fawn might have been expected to seek out a secluded spot in which to rest and not be seen, but this one lay down only a couple of feet off the edge of my driveway not far from where I was standing. As is evident in the photo above, the fawn was well camouflaged by its spots, and even when I walked up to it, the fawn remained motionless. 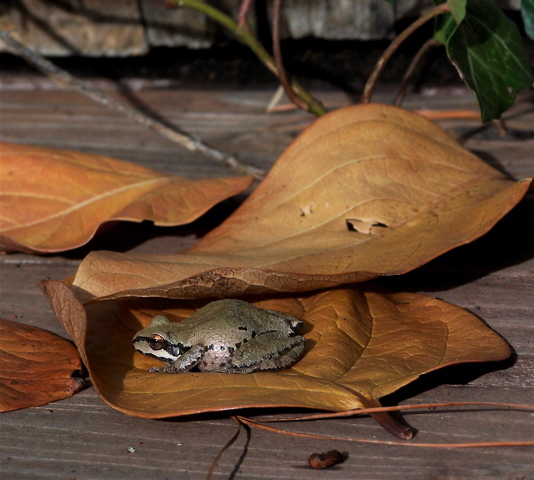 “It probably thought it was invisible,” Point Reyes Station biologist Jules Evens told me with a laugh Monday. When I walked away from the fawn without touching it, that impression was probably confirmed. 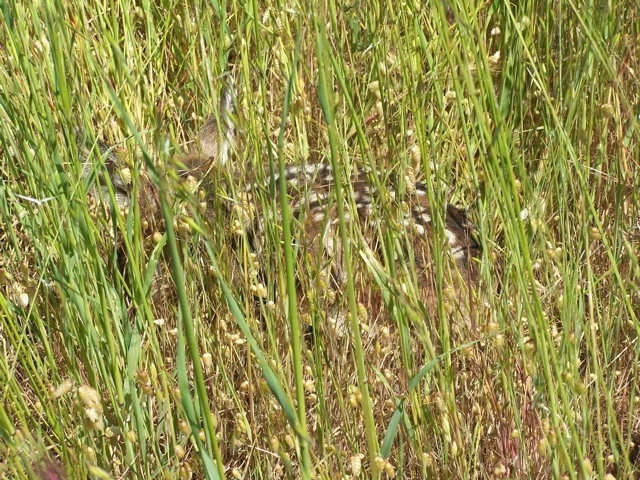 The fawn was so well hidden, in fact, the only way I could get a clear photo of it was by shooting directly down with the grass slightly parted. Even then, the fawn remained absolutely still. 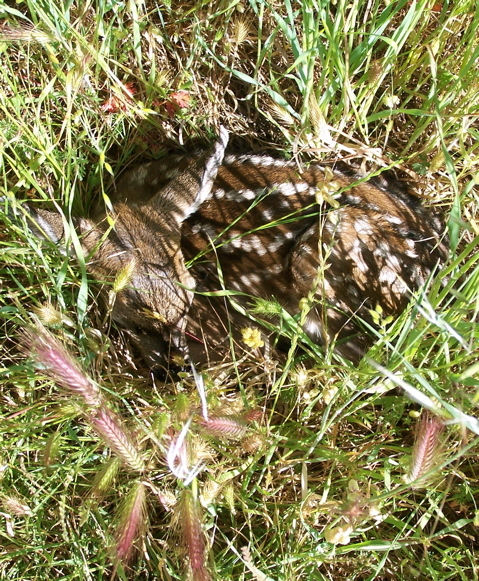 I quickly departed, and for more than half an hour after I left, the fawn lay curled up beside my driveway before its mother returned and led it away. If a fawn is continually stressed, Susan Sasso of Olema told me, it needs its mother’s licking, as well as her milk, when she returns, for both calm the young creature. Susan, who rehabilitates sick, injured, and orphaned fawns for Wildcare, noted that fawns can die of excessive stress. At facilities on her property, Susan at present is feeding four very young wards every four hours seven days a week. This exhausting schedule will slow down in a few weeks, but the fawns will be in her care until sometime in August. She does it every year. 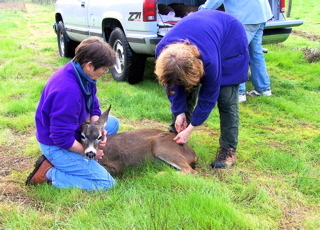 Here Susan (at left) and another Wildcare volunteer, Cindy Dicke of Olema, prepare to release a fawn in Chileno Valley. 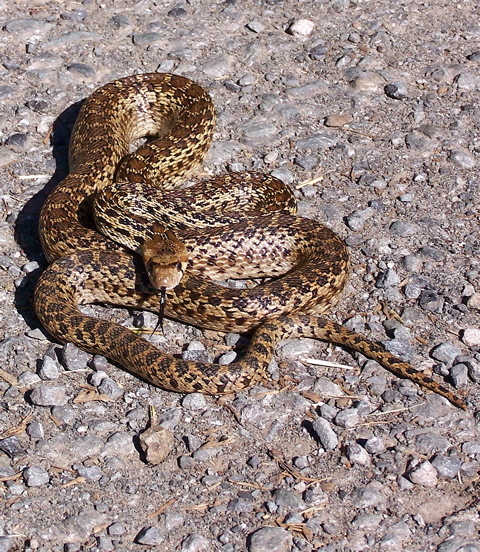 It was one of six that in 2006 grew up on Susan’s property and then were trucked to Mike and Sally Gale’s ranch for release. The fawns were sedated for the trip but quickly revived once they had received wake-up injections. 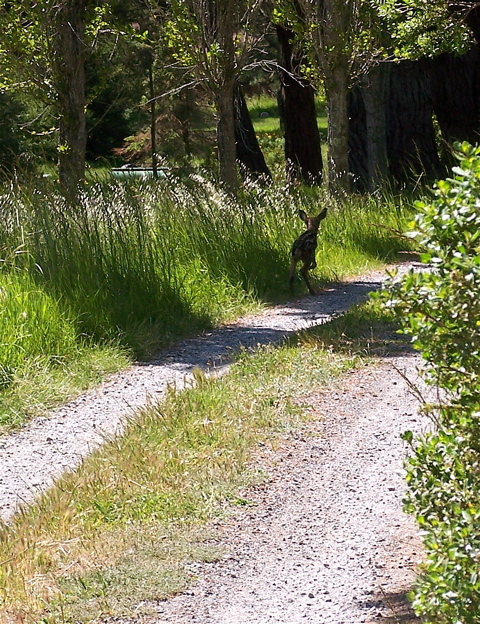 Blacktail deer in West Marin are just beginning their fawning season, Susan noted. 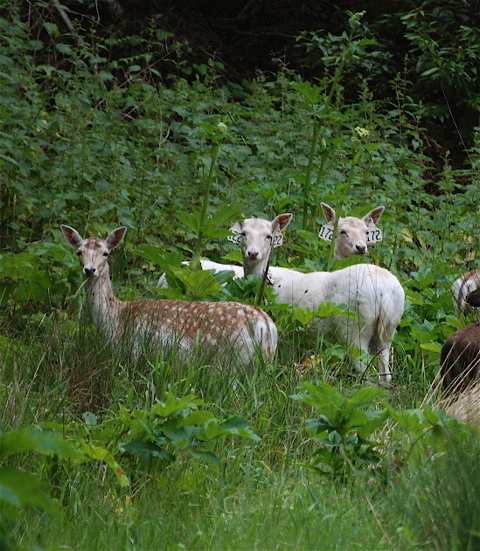 In total, she has received five fawns, but one, which arrived in bad shape, soon died. The other four, however, are healthy and putting on weight, Susan said. “When the fawns are one to two weeks old,” Susan noted, “the mothers leave their babies for a while and graze until their udders are full.” So if you too find a fawn by itself, Susan said, “don’t bother it.” In all likelihood, its mother has simply left for a few minutes to pick up some milk and will be back shortly. Sparsely Sage and Timely is powered by	WordPress 4.9.10 and delivered to you in 0.339 seconds using 39 queries.